There are a lot of reasons benefits data is important for the future of healthcare spending. Benefits data is the key to making healthcare spending more efficient, evaluating networks and providers, and ensuring members get the support and care they need. And benefits data isn’t just for employers—more and more broker consultants are using data with their employer clients. Here’s why. Brokers and consultants are short on time. We know, we know: just about everyone is short on time. But brokers are in an especially tough spot. They might have just one hour to prepare a report for 10 clients, so they rely on tech help to make the most of the hours in their day. The key? Out-of-the-box recommendations that can take a vast amount of data and distill it into actionable information. For example, instead of a spreadsheet with thousands of rows with emergency room claims, they’d be much happier working with a data model that takes ER claims, categorizes them by top diagnosis codes, and recommends possible solutions. Artemis Health’s Actionable Overspending App does just that, plus it focuses on other areas of inefficient spending, too. This quick, pre-built reporting is key to helping brokers/consultants maximize their time. Even smaller clients need great recommendations. When you’re dealing with dozens of clients and trying to help them find answers, things sometimes get moved to the backburner. Brokers and consultant tell us all the time that they wish they could devote the kind of time and attention to their smaller clients. Employers of every size can benefit from data-driven recommendations, but many consultant struggle to find the bandwidth to deliver for lower maintenance clients. A great data partner can solve this problem. The Artemis Platform allows users to build a custom report once, and roll it out across their entire book of business. In this way, we enable broker consultants to provide the same level of reporting and recommendations to all their clients, small or large. 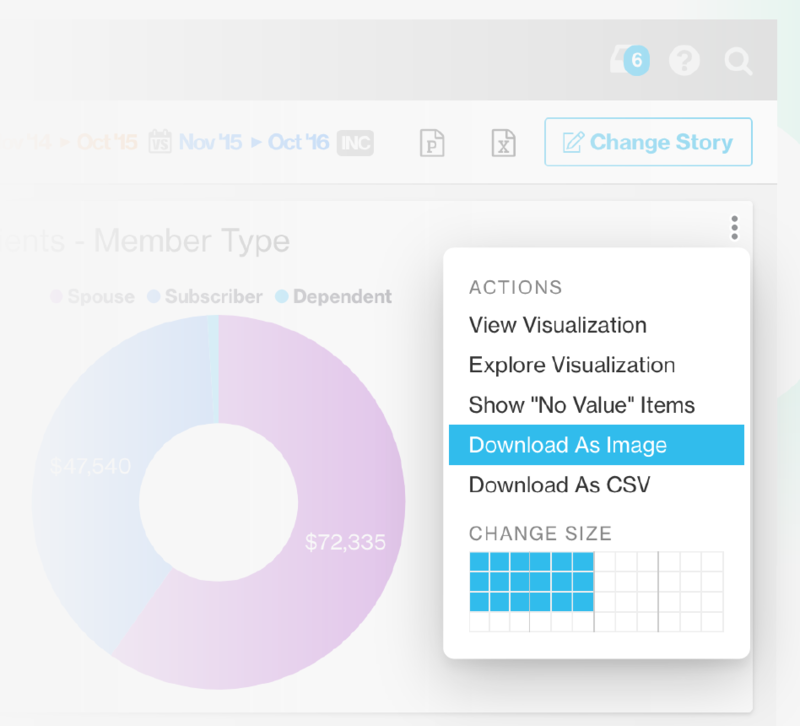 Additionally, it’s easy share analyses and collaborate with clients using Artemis. You can share with other users, download, or export using several different methods. Data is a competitive advantage for brokers. Word of mouth is huge in the benefits industry, and we’re a tight knit bunch. When a broker/consultant delivers wins for a client, other employers will hear about it. And the best way to deliver wins is with benefits data analysis. Artemis firmly believes that data is a competitive advantage for brokers. Data can help you find wasted spending, inefficient programs, and gaps in care. It can make the difference between members getting great care or paying more than the average for an illness or injury. Even more importantly, it can make the difference between a benefits package that attracts and retains talent and one that leaves members with a larger share of healthcare spending. Want to learn more about how the Artemis Platform can help you make data-driven recommendations? Get in touch for a demo!